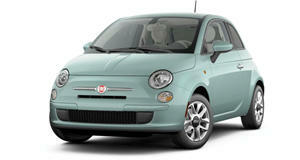 And it's not even a new Fiat 500. 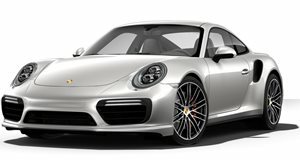 Think of this as the city car Porsche will, thankfully, never build (it better not). But someone has taken the liberty of making it happen anyway, and there was no good reason why. Auto Evolution first spotted this fake Porsche 911 based on an old Fiat 500 on the wonderfully hilarious How Not to Design A Car Facebook page. So, where is eyesore located? Greece, apparently. On the one hand, we give its owner/builder props for taking the time, effort and expense for being creative. Heck, because it’s an old Fiat 500, this thing even originally came with a rear-mounted air-cooled engine – just like the classic Porsche 911. Thing is, this 911 Turbo fake is styled to look like the 996 911 Turbo, which was water-cooled. But then again, does pointing that fact out even make a difference here? Fake is fake. Take a closer look and you’ll notice some commendable detailing, specifically those tear drop headlights and rear bumper vents. Even the side air openings and wheel covers look somewhat Porsche-like. For someone this was clearly a labor of love, but we wouldn’t be caught dead in it.